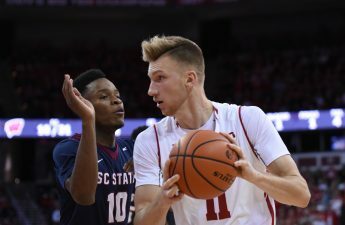 After their game against Xavier, the University of Wisconsin men’s basketball team will travel to the Sprint Center in Kansas City, Missouri to take on the Baylor Bears Monday, November 20th for the Hall of Fame Classic. Baylor will be a formidable opponent for Wisconsin as the powerhouse team is currently ranked at #25 in the AP poll. The Bears have fared well in their contests thus far, blowing out their first two opponents by a combined differential of 65 points. This will be the first game that the two teams have had against each other since Wisconsin’s 2015 Sweet 16 victory. 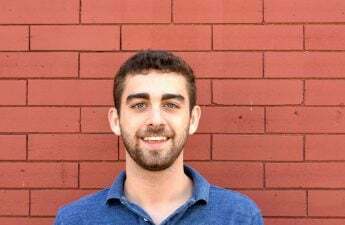 Although almost all iconic Badgers from that game have moved on, including Frank Kaminsky, Sam Dekker, and Coach Bo Ryan, fans on both sides still remember the matchup. Current Badger Coach Greg Gard will be preparing his team for the difficult sequence of games. A challenge for Gard will be limiting the Bears high powered offense, led by Manu Lecomte. Lecomte has been electric early on, averaging 22.5 points per game with a 55 percent field goal percentage from the floor. Wisconsin guard D’mitrik Trice will likely be in charge of defending Lecomte. Trice will likely have to play the star point guard close to the line as he has shot the ball at an astonishing 60 percent rate in high usage this year. However, Trice’s main assignment will be leading the Badgers at point on the offensive end. 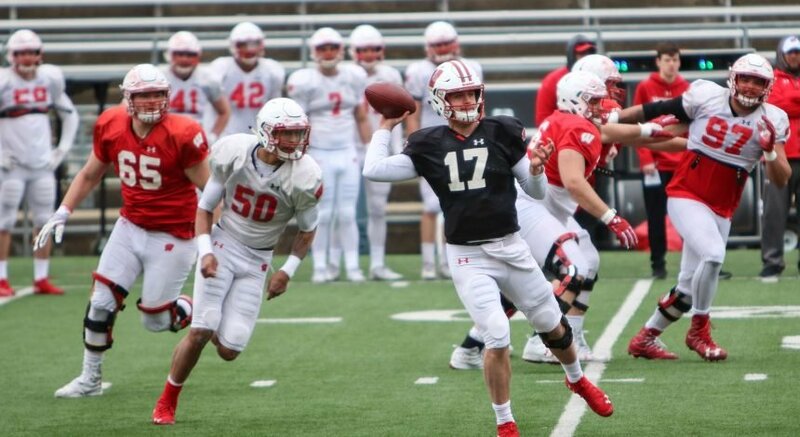 Trice, a former quarterback in high school, is taking the reins in this offense as a sophomore. Coming off the bench last season Trice has been quietly the most efficient shooter on the team, averaging .688 percent from the field and .625 percent from three, all while leading the team in assists. 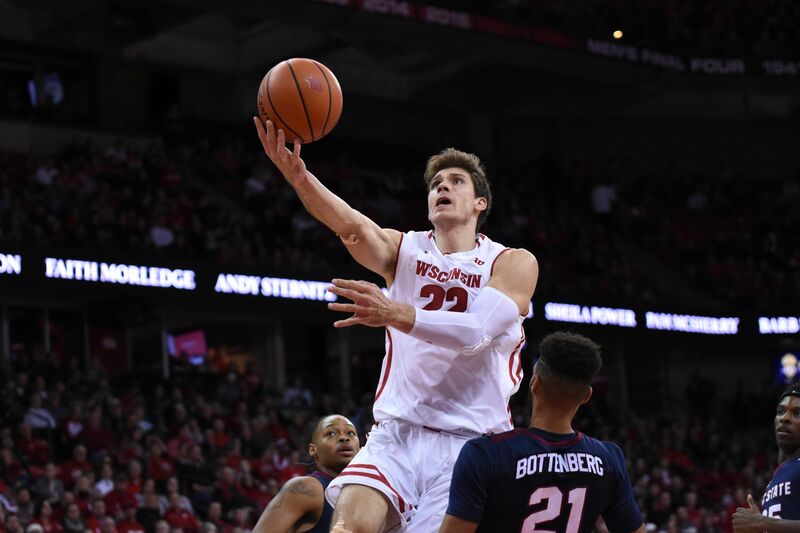 Having players that can take some of the offensive workload away from star forward Ethan Happ will be pivotal to the Badgers success against top competition this year as teams will undeniably double cover Happ a significant portion of plays. 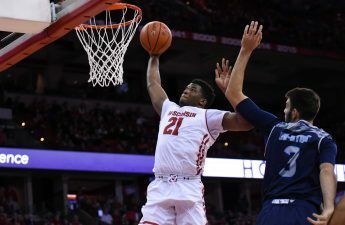 Though Wisconsin avoided difficulty against lower skill teams, offensive leaders like Trice and Iverson will need to continue to perform for the Badgers to continue scoring at a high rate. If Wisconsin wins this matchup they will play the winner of UCLA vs Creighton for the Hall of Fame Classic Championship. Coverage of the game will be available on ESPN 2 this Monday at 8:30 pm from Kansas City.